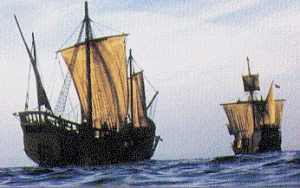 2^9 (512) years ago, 3 ships sailed west to change forever the destiny of a continent. Half that time ago, the seeds of a revolution to cast off colonial bonds were just being sown. Today finds us barely holding on to democracy. What the year 2516 will hold, who can say?